Our Executive rooms feature sea views from the comfort of a refreshing balcony, as well as a cozy salon area, and writing table. Executive rooms are available with either a king-size bed or two twin beds and might be connected for more convenience. 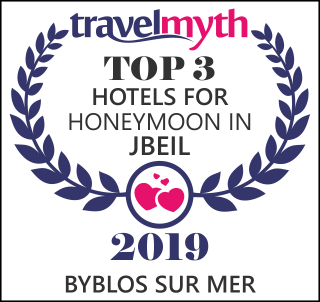 There’s no place more perfect to celebrate Love than Byblos, mythical site of the romantic legend of Adonis and Aphrodite. Byblos Sur Mer offers all the makings of a truly romantic and unforgettable wedding with 3 different venues to celebrate your special day. Whether it’s a sunset cruise or an afternoon cruise to marvel at the beauty of historical Byblos from the perspective of the sea, a boat trip along the coast is relaxing and picturesque, with plenty of opportunities to snap a few beautiful photos to take home.